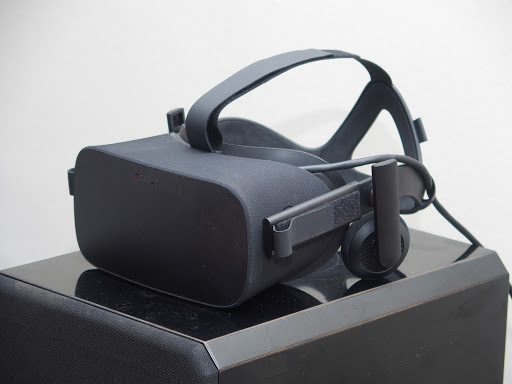 Oculus is rolling out update version 1.11 for the Oculus Rift. For the first time (IIRC), they’ve posted the release notes. Among other things, the release includes improvements to the 360 tracking and roomscale tracking. There’s a mention of fixing tracking issues with Oculus Touch controllers that resulted in “loss of hand location or hand orientation.” Many users (including myself) experienced an issue where after several minutes, the right controller would appear to ‘float’ away even when the user is not moving. This could be a fix for that, but I haven’t tried it so I don’t know yet for sure. 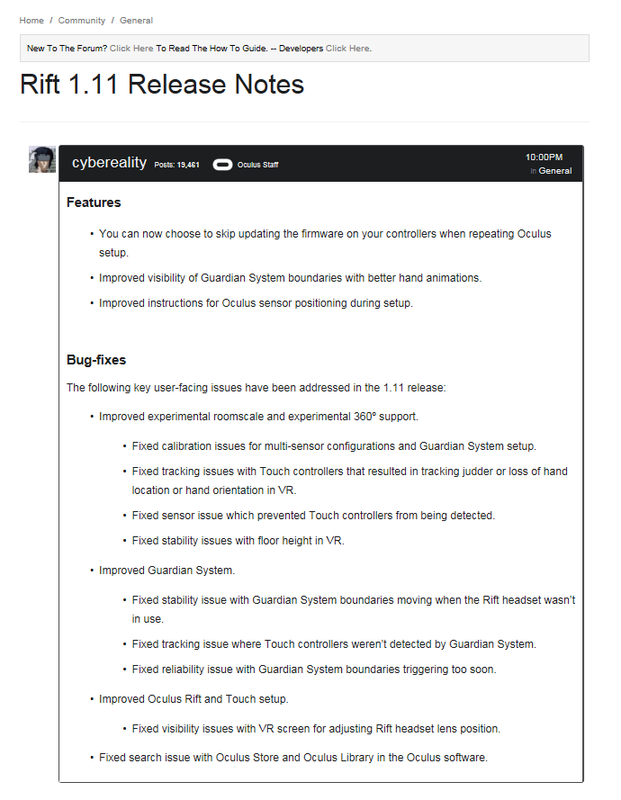 Here are the release notes. One interesting change that isn’t mentioned here is that you can now straighten the crumpled rug in Oculus Home. You can now watch 3D Blu-Ray with PlayStation VR!